Who: Children in Bellingham with and without disabilities from ages 2-7. Sport Experience introduces children to the world of Special Olympics competition. to sports, Special Olympics, and to become unified with children of different abilities. Our Padres a Padres Program brings together families who speak Spanish for a variety of events and activities. Meet other parents who share the unique experience of raising a son or daughter who experiences special needs. 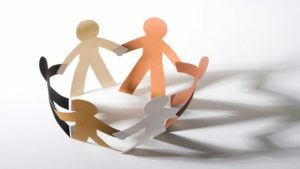 Would you like support or to make a connection with another parent? Contact Marta at (360) 715-0170 ext 308 for more information and to get on the mailing list for the Padres a Padres newsletter. Join Padres a Padres del Condado de Whatcom on Facebook. Nuestro programa Padres a Padres reúne a familias que hablan español para diferentes eventos y actividades. Conozca a otros padres que comparten la experiencia única de criar a un hijo o hija que tiene necesidades especiales. 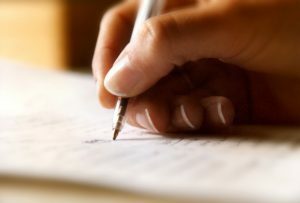 ¿Le gustaría recibir ayuda o establecer una conexión con otro padre? Comuníquese con Marta al (360) 715-0170 ext 308 o martam@arcwhatcom.org para obtener más información y para inscribirse y recibir por correo el boletín de Padres a Padres. Únete al facebook Padres a Padres del Condado de Whatcom. Opportunity to visit Olympia and meet with your legislators! 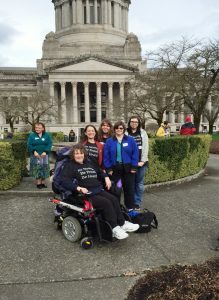 The Arc of Whatcom County will be chartering a bus from Bellingham to Olympia to participate in the “Disability Pride” Legislative Advocacy Day on Wednesday, March 29. The bus will leave at approximately 7am for a full day in Olympia. 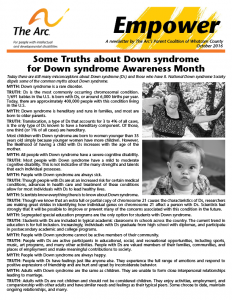 Parents, self-advocates, and care providers are welcome to come at no cost to you. We will provide information and materials to help you understand the issues and share your story. If you are interested in joining us, please email Monica at monicab@arcwhatcom.org or call (360) 715-0170, ext. 303, by March 21st to reserve your seat! Do you have a child with developmental delays or disabilities,but aren’t sure what services are out there to help your child? Have you heard about DDA services, but are not sure what they are or how to apply? Have you wanted to apply for DDA services but just haven’t gotten around to it yet? If you answered yes to any of these questions, then this is the workshop for you! Leslie Kivett, Eligibility Case Resource Manager for the Developmental Disabilities Administration (DDA) will join us to tell us about DDA services. She will discuss the eligibility requirements for these services and the steps for filling out the application. Then we will have time to work on completing your child’s application and answer any specific questions you may have. Now is the time that new clients are being added to DDA services, so don’t delay! Join us for this important workshop and check one big thing off your to-do list! Below are the resources that were provided. 2018 Smiles of Life Calendars Now Available! 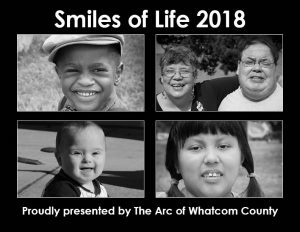 The 2018 Smiles of Life Calendars are $15 each. Quantities up to 10 can be shipped to you or picked up at our office. Shipping costs will be added to your purchase. For quantities greater than 10, please visit us at The Arc: 2602 McLeod Road, Bellingham. To purchase calendars, CLICK HERE. 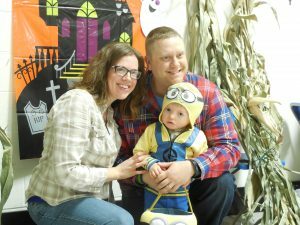 Join the fun at The Arc’s Halloween Party! This is a free event sponsored by The Arc of Whatcom County and the Young Adult Self-Advocacy Group. Everyone is welcome! There will be fun games and prizes for all to enjoy. Please dress in your costume and bring non-perishable food donations for the Bellingham Food Bank. Out of respect for all participants, we ask that you please leave all weapons and noisemakers at home. Thank you for your cooperation.